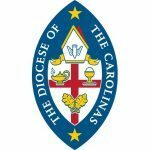 Bishop Thad serves as Assisting Bishop in the Diocese of the Carolinas under the Diocesan Bishop Steve Wood and Suffragan Bishop David Bryan. He serves as chaplain to clergy, pastors, and those in the ordination process. Video conferencing is preferred. Appointments can be made here or by emailing him at bishopbarnum@gmail.com.